With the release of MicroStation V8i SELECTseries 3 we now have the ability to import a LandXML surface file into a DGN file. A Civil Application such as InRoads or GEOPAK is not required. 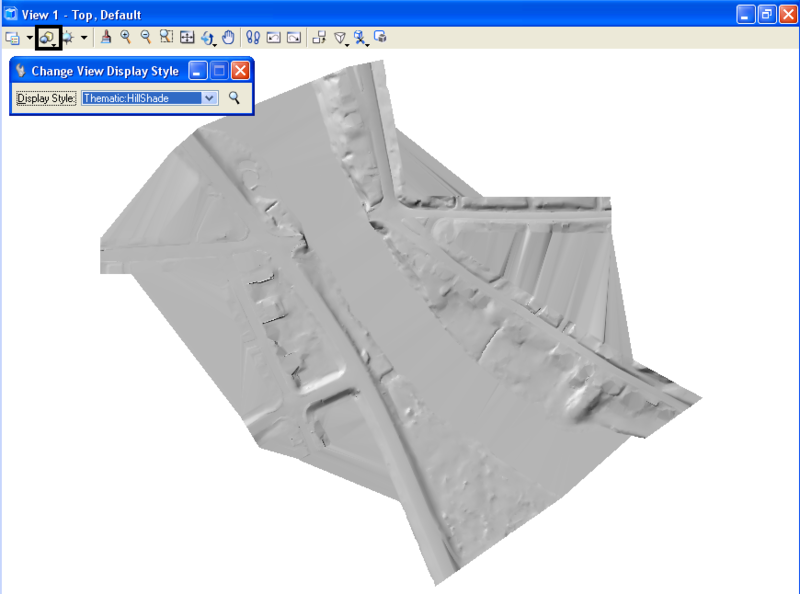 This new Terrain Model element type resides inside the DGN file and allows users to view the data a number ways. Import LandXML. The Import LandXML dialog will appear. 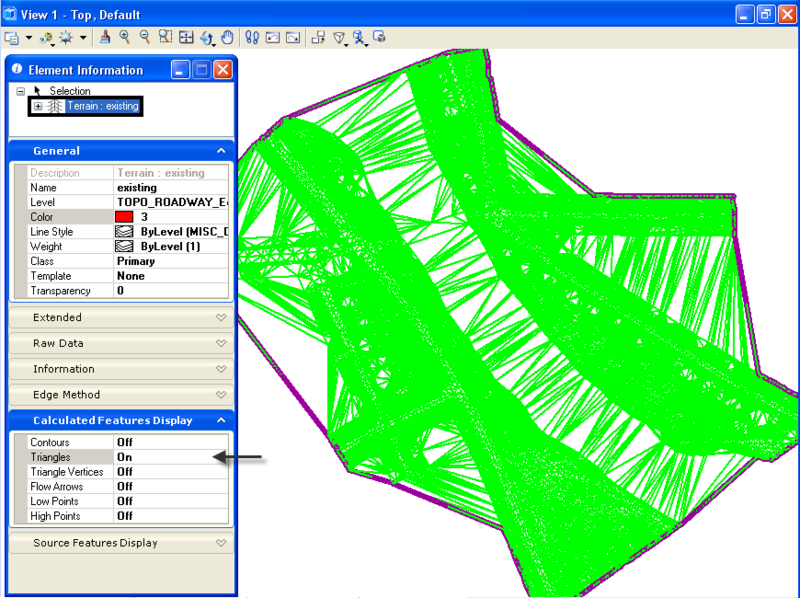 Navigate to the LandXML file, once selected the file will be imported into the MicroStation DGN file and displayed in the view. 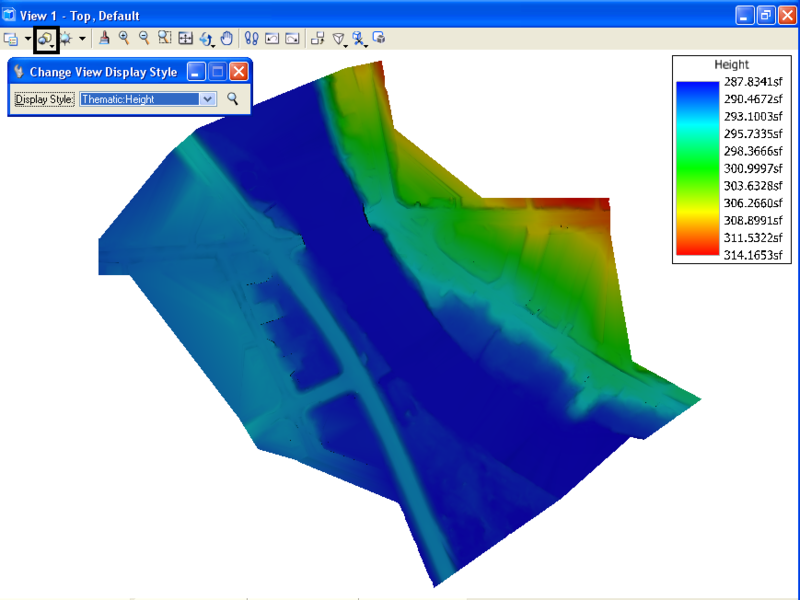 Using the Element Selection tool identify the displayed Terrain Model. From the Primary toolbar open the Element Information dialog. The Terrain Model will be selected. Use the Calculated Features Display to toggle the display of the features OFF and ON. Expand the Terrain: (name) at the top of the Element Information dialog to change the display settings of the features. 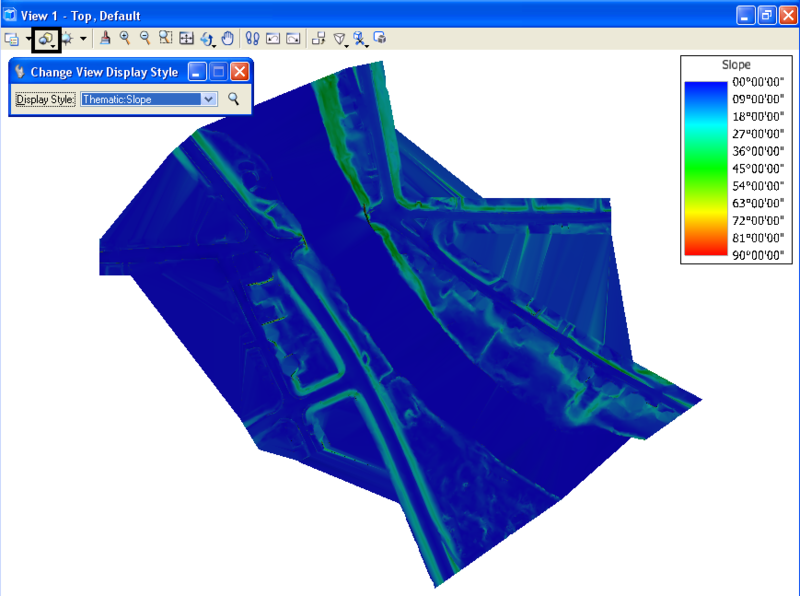 The image above is displaying the contours, flow arrows, low and high points. 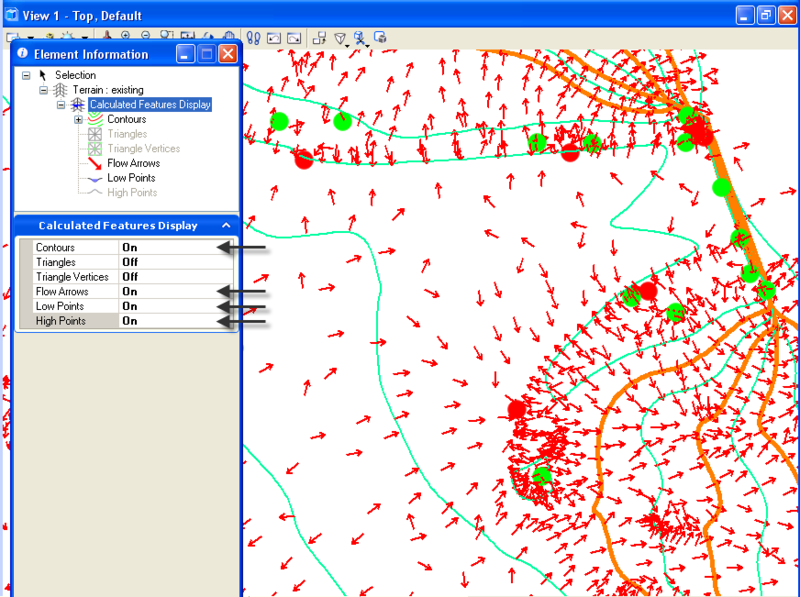 This display makes for easy evaluation of surface drainage. 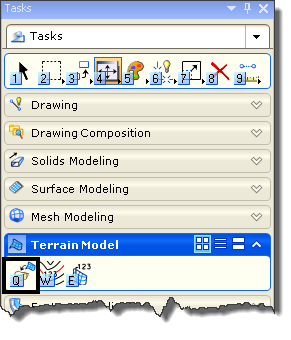 In addition to the common surface display features additional Thematic Display Styles have been added to help view and evaluate a Terrain. Hi, this looks interesting and is a much welcome addition to Microstation. These flow arrows used to be so easy when I was using Civil3d before, but now our office only uses Microstation SS2 and Inroads, and the closest thing to these flow arrows is the Slope Vectors (under Inroads->View->Surface command). The issue when I use this is the arrows appear at different sizes depending on the magnitude of the slope. Is it possible to show these slopes as same sizes in SS2 or Inroads?